Expand My Thinking: Graduates, You are Special. Thank you and All the Best! Graduates, You are Special. Thank you and All the Best! A Youtube clip of a Commencement speech by an English teacher from a high school in Massachusetts recently went "viral". As I was in the process of preparing my own annual address to our graduating class of 2012, I watched the video with anticipation. I was curious to see why a million people had viewed the clip and, frankly, to see if I could get a few ideas for my own speech. I was disappointed. 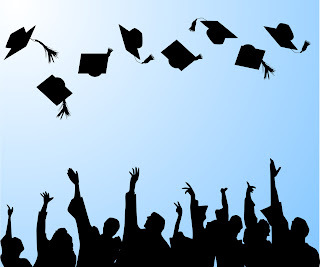 The purpose of a commencement ceremony is to recognize and celebrate graduating students. The speech was a self-indulgent 13 minutes long and the theme of the address was "you are not special" and began with how your parents and our society have wiped your nose, wheedled and pampered you and now you have an inflated sense of yourself. Accolades have replaced genuine accomplishment. The speaker softens at the end and implores the graduates to be selfless and concludes with "you are not special, because everyone is..." While I accept that I do not know the context of his school and think that his chiding was aimed more at the parents than the students, I disagree with the clichéd, self absorbed, coddled stereotype he suggests of teenagers. High school graduation is a significant event in our lives as it represents a coming of age. Students are (or will soon be) 18 years old and are on the threshold of adulthood and emerging independence. Our school is typical of most in our area of the province and, both individually and collectively, our students have accomplished and contributed so much more than I did when I was their age. They have been committed to achieving their best at school and in online and summer learning and their academic accomplishments are remarkable as they are driven to gain access into increasingly inaccessible universities, due to rising entrance standards and tuition costs (e.g. students need a 90% average to gain access to the University of British Columbia). More importantly, their levels of responsibility, citizenship and engagement are impressive. While I am certain some students accumulate service hours more to build their resume than for genuinely philanthropic or humanitarian reasons, many do it because they sincerely believe in volunteering and helping others. They have embraced the "me to we" paradigm shift our planet so desperately needs. I grew up in the same community over three decades ago and my peers and me were not like this. For contemporary students, being socially responsible and caring about others by participating in or leading community events are natural parts of their lives. Like all urban centres across our country, most of our students were born in Canada but many have emigrated from different lands. Adolescence is a difficult time of transitions and while students are incredibly fortunate to be attending a modern school in a wealthy, advantaged society, these kids have also faced challenges, disappointment, failure and heartbreak, at school and in their personal lives. Grappling with the restrictions placed on them by an adult world, they have adapted to new ways of thinking, embraced new technologies and earned their independence. They are not naive and accept that greater challenges await them and they do not expect that life will be easy. They understand that their futures are likely to be less stable than for any generation that has preceded them. This is why I am inspired by the young people I have the privilege of working with each day and I am honoured to be able to congratulate them on the day they graduate and leave our school. Together, we have worked hard to help them learn to think critically and independently, to collaborate, to communicate, to solve problems and to make decisions. I genuinely believe that if they work hard, persevere and pursue what inspires them, they have the capacity to live fulfilling lives and to improve our world. Our school community has celebrated over 60 graduating classes and the commencement ceremony remains a very special day for our graduates and our school. For all kids, it represents the culmination of their 13-year journey through formal schooling and the beginning of an exciting new time in their lives, while, for some, it celebrates their resiliency in overcoming obstacles and accomplishing a milestone they did not believe they would achieve. As principal, it is always one of the greatest days of the year. I feel incredibly honoured to share the stage with each student and shake their hand, embrace them and congratulate them. They are the future and I sincerely hope we have prepared them well. I genuinely wish them all the very best in the road ahead and thank them for reminding me of my core values and for inspiring me to be a better educator. It is important that each young person crosses our stage with dignity, purpose and options and for that moment, they and their families, feel both proud and special.